Let the countdown 'til Christmas continue with DAY 20! 2 years ago, I made the ultimate gingerbread house. It was modeled after the Technodrome and included 4 gummy Turtles & a gummy Krang. The whole thing was pretty freaking incredible. 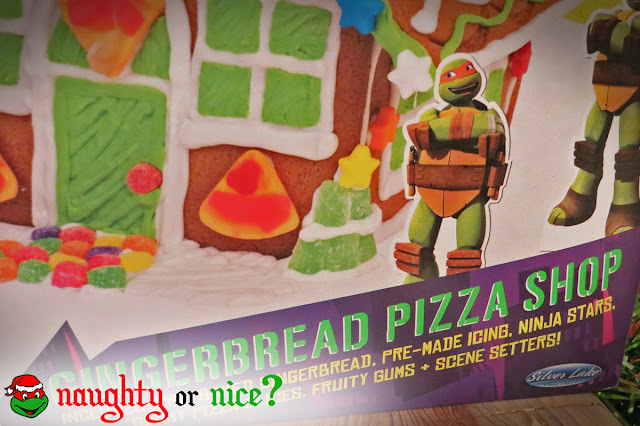 So when I saw a TMNT-licensed gingerbread house had been released, I was skeptical. Could it live up to the legacy of my custom creation? Unfortunately, I can't even give you the verdict. 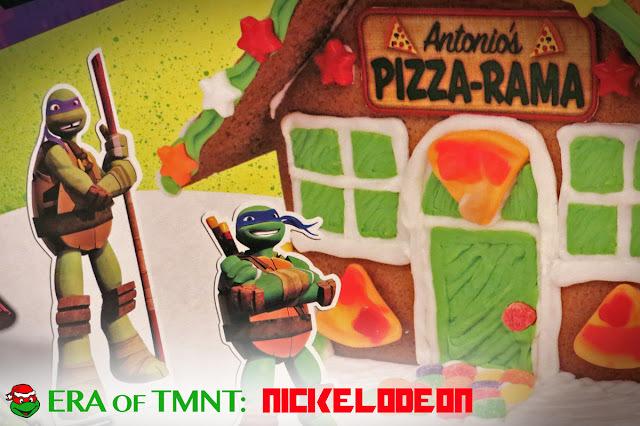 My TMNT gingerbread Technodrome was just too darn awesome to muster up the enthusiasm to build this sub-par product. A generic gingerbread house cannot compare to the iconic villainous headquarters I created. I decided to hold onto the set like a bottle of fine wine. 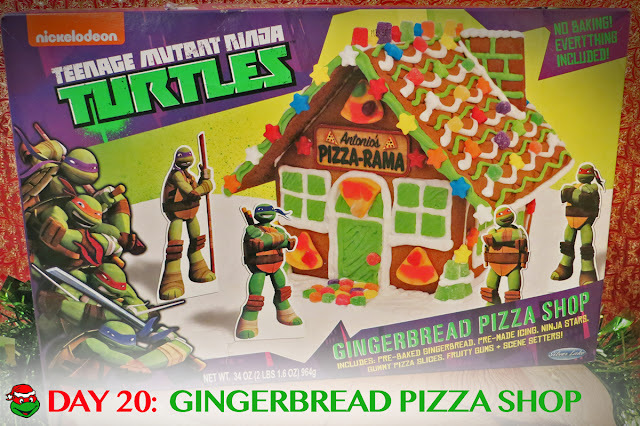 The unopened gingerbread will age as the current TMNT series evolves into something different. Years from now, I will have this holiday relic - a memento from the days when Nickelodeon's TMNT was popular. At that point in time, I'll open up the antique. It's much weirder and way more fun to assemble a gingerbread house that has seen multiple presidents in the White House. In all honesty, my friend Kristy constructed one of these gingerbread houses with her kids and they absolutely loved it. They snacked on the included sweets while building the Turtles a new cookie home. So maybe clinging onto it for years isn't the most satisfying experience for kids. They're craving more excitement. But for a collector of nostalgia, waiting for the new stuff to become old is oddly rewarding. 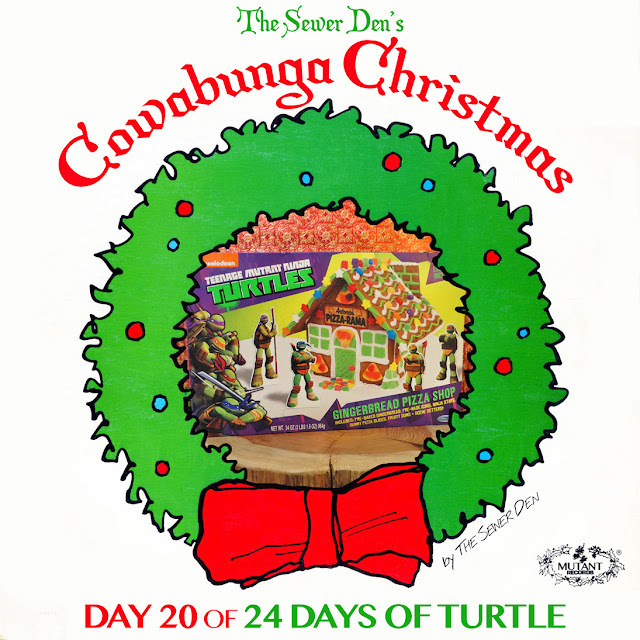 Check back tomorrow for DAY 21 of Cowabunga Christmas! Can't wait until then? Take a trip with the Ghost from Christmas Past to see what The Sewer Den put on display on December 20th in 2013 and 2014.